Lyrical dance is a style of dance created from the fusion of ballet, jazz and contemporary dance. Dress Code: Girls: Black Leotard, Ballet Pink or Tan Tights, Black Leggings or Fitted Shorts and Black Jazz Shoes. Boys: White T-Shirt, Black Sweat Pants and Black Jazz Shoes. 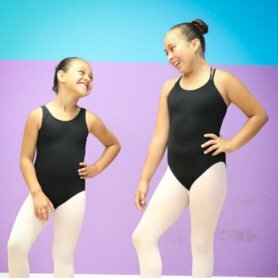 Lyrical Dance students save 10% when they also enroll in Girls Gymnastics, Boys Gymnastics, Trampoline & Tumbling, Tae Kwon Do, or other Dance Classes.